Get a New Lease on Life by Filing for Bankruptcy. Call Us: (662) 332-0202. Bankruptcy can be a very daunting process to go up against, especially with the stigma it carries. However, our Southaven bankruptcy attorney is here to tell you that bankruptcy isn't the end of the world - just the end of your worries. The need to file for bankruptcy can happen to anyone, even those who have been entirely fiscally responsible up until a crisis hit. Incidents such as a divorce, illness, injury, or the loss of a job can all lead to a struggle with debt. If you are one of the hundreds of thousands of people who file for bankruptcy every year, let us ease your mind and help you get back on your feet. When you call Boyd Law Office, we can advise you on the best course of action to take. Start by telling us about your situation in a free case evaluation. In the US, there are many different types of bankruptcy that involve either settling debt or reorganizing it. 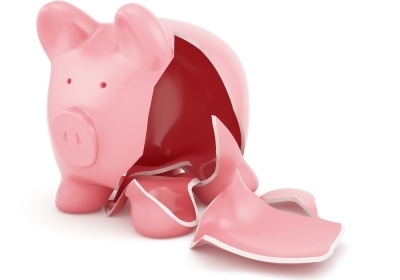 Finding out the type of bankruptcy that you should file for is the first step in any case. Before you start, you should take something known as a "means test" that can assess your financial situation. If this test determines that you do not have enough recurring income to reorganize your debt, you will most likely need Chapter 7 bankruptcy, which can successfully free you from debt in as little as three months. If you do have enough disposable income to qualify for Chapter 13, this can settle your debt through a three to five year plan. This method can allow you to keep most of your property and still get out from overwhelming debt. Call our Southaven bankruptcy attorney! The sooner you get started, the sooner we can help you. If you are facing foreclosure or are at risk of losing a vehicle, bankruptcy could help to save your property through the automatic stay that goes into action once you file. Because our attorney has almost 35 years of experience you can search far and wide and never find an attorney as experienced as Michael Boyd. Our firm also has an office location in Greenville, MS. If you are ready to begin, contact our Southaven bankruptcy attorney!